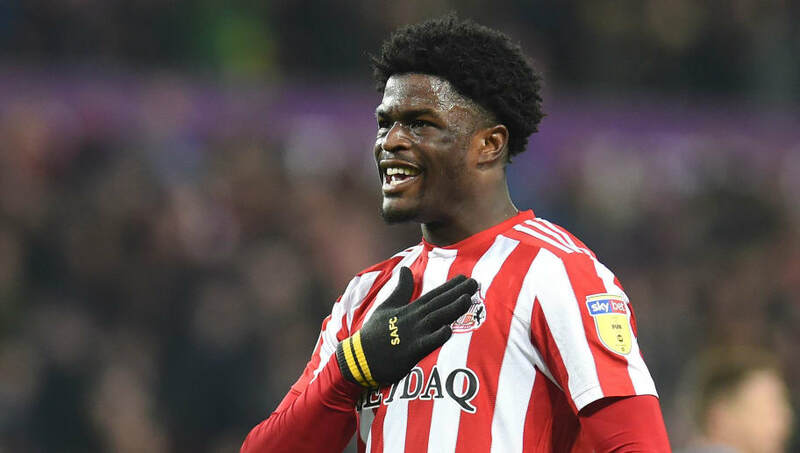 ​Sunderland have confirmed that academy graduate Josh Maja has joined Ligue 1 side Bordeaux on a permanent basis. Maja has been the top scorer for his side this term, with the 20-year-old having scored 16 goals at the Stadium of Light to fire the League One side into contention for promotion this season. However, ​Sunderland have now confirmed on their ​official website that the highly rated 20-year-old has joined Bordeaux in a permanent switch. The French side are currently 11th in Ligue 1, just 11 points clear of the relegation zone, and Maja’s departure will come as a huge blow to Sunderland’s hopes of promotion. The forward’s contract on Wearside was due to expire at the end of the season, and he has now sealed his departure from the Black Cats to leave Jack Ross’ side without their leading scorer for the remainder of the season. A graduate of Sunderland’s youth academy, Maja - who had been ​linked with West Ham - has featured in all but three of Sunderland’s League One matches this season, scoring 15 times in his 24 league outings, leading his side to just one point behind Portsmouth at the top of the table. With former ​Everton winger Aiden McGeady Sunderland’s second top scorer this term with seven league goals – eight fewer than Maja – the League One side will need to find a way to replace the young forward’s goals if they are to maintain their bid for promotion. Sunderland will look to continue their push towards the top of the table as they take on AFC Wimbledon next Saturday in League One.